Let’s take advantage of the warm summer days to discuss a subject that we hold close to our heart, a topic that inspires our meals and apéritifs: The wine. This time, we won’t talk about varietals, vinification, or vintage… We will talk about the tin foil capsule. 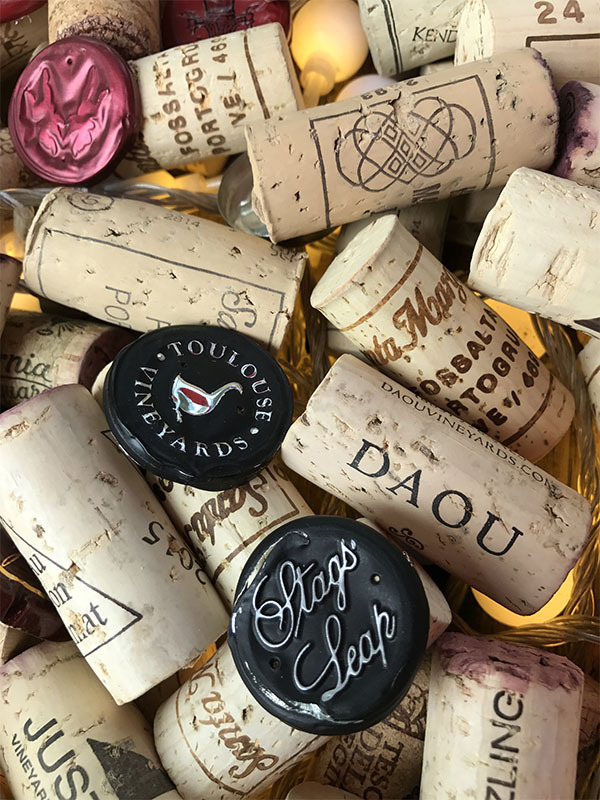 Not the beer cap, not the screw top, not the lid of a tuna can, but the precious and noble tin foil capsule that protects the corks of our dearly beloved wine bottles. In addition to protect the cork, the tin foil capsule also adds another layer of preservation to the bottle’s precious content. It is a true work of art, a craftsmanship that belongs to a handful of artisans from France and Spain. There are 4 key steps to get to the final product. Producers of the tin capsule use pure tin ingots from South America, more specifically Peru and Bolivia. They melt the precious metal in an oven heated up to 300°C (572°F). Once in a liquid form, a thin layer is poured onto a metal sheet, awaiting to be solidified again. After the tin cools down, it gets back to being a solid material. At that point, it is pressed and stretched under a heavy roller. The tin is now transformed into a thin strip of soft metal that will soon be shaped into the notorious tin foil capsule we all know. As you might have noticed throughout your own experience as a wine connoisseur, the thickness of the tin foil capsule varies based on the wine. The press is easily adjusted to apply more or less pressure, follow strict client’s specifications, and always deliver the right product. More expensive wines tend to have a thicker capsule. The tin is then rolled into a coil and sent to the next stage. Here, the tin is cut into a circular shape. Those discs are sent through a machine made of male and female parts, a series of hydraulic hammers stamping the tin until it gets to its final cylindrical shape. Note that during the fabrication process, 100% of the tin scraps is internally recycled and goes back to the beginning of the assembly line. Last but not least, the decoration –aka branding– of the tin foil capsule. It is done using a printing method called serigraphy or silkscreening. First, the background color of the cap is sprayed on. The designs or motifs are then applied using a silkscreening technique, up to 4 colors with both mat and glossy finish. The top of the capsule can be printed, embossed with ink, or embossed without ink which is called a blind emboss. Some capsules also feature a perforated strip around the neck for easy opening. Now that’s fancy! The tin foil capsule is composed of a single piece, with no seams. 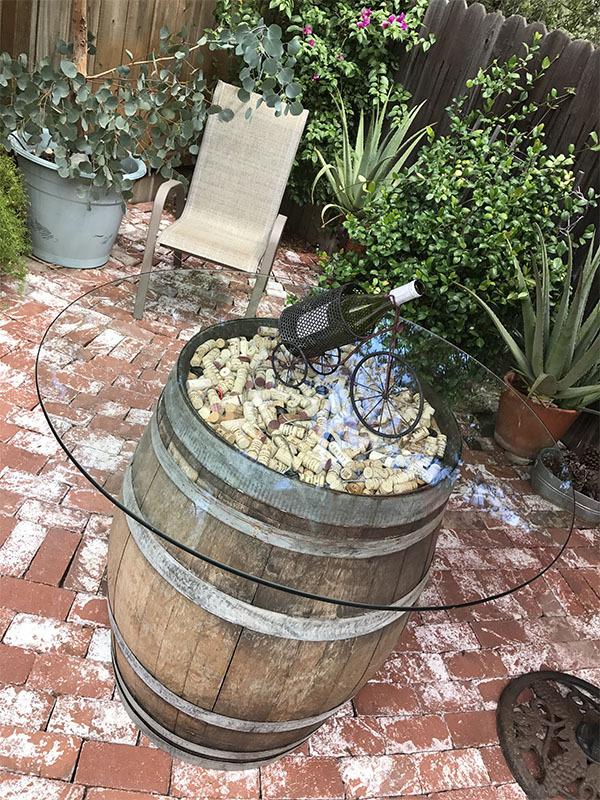 The final result is soft and malleable which makes it easy to fit any bottle sizes and shapes, and keeps you and your angel hands safe from any injuries during the ceremonial opening sequence of a wine bottle. And that’s important! This noble material is crafted with very specific engineering skills mastered by 7 European companies. Those companies are located in France and Spain. One of them –quite possibly the largest– is called Rivercap. In addition to France and Spain, they also have a facility here in California, where they handle production as well. They are 100% bio-sourced and 100% recyclable! More details about them in a future article. The tin foil capsule’s authenticity is highly controlled, which helps protecting high priced wines against forgery and counterfeiting. Its elegance certainly helps in setting the mood when opening a bottle of wine. Certain winemakers choose the tin foil capsule to distinguish themselves from competitors. Other more economical alternatives are aluminium and plastic. Point in fact, the tine foil capsule’s esthetic gives an overall perception of a better quality wine, a reserve or a grand cru. Authentic and elegant, the tin foil capsule is a sign of art and distinction enhancing great wines and exceptional spirits. As of today, this capsule is used by 3% of the global wine production. I Loved your piece on tin caps, learned a lot of interesting stuff, just one basic question: do you cut the cap above or below the raised ridge on the bottle? I will be making a short little video on how to do it. Coming this summer in theaters near you! That’s not really true that the cork tells you about the quality of the wine. In fact, the quality of the cork doesn’t say anything. Sometimes, regardless of whatever high quality corks you get, they STILL have the factor that causes cork taint, which is right in the cork wood bark. TCA — trichloroanisole is the chemical that develops from the fungi in some cork (even high quality cork), after reacting with chlorophenols (found in wine, cleaning products and other things in the winery). Cork doesn’t tell you about the quality of the wine. People merely sniff it to see if it has cork taint, something that the uninformed will tell you is the fault of the winemaker, and it’s not. It just happens. Some of it can be avoided by not using Chlorine in cleaning (no wineries do that anymore unless they are uneducated clods), but often it’s just plain unavoidable, in even the best maintained facilities. I’d agree with that, but to me, you are confusing people with definitions of subjective ‘quality’ attributes of aroma and intensity / first impression. True definable ‘quality’ is a quantitative term among winemakers, measurable by specific test parameters, and includes, as you well know, absence of recognizable faults, actual microbiological testing, and professional sensory analysis profile (although that’s more subjective, when done correctly it’s statistically accurate). I realize that my choice of words can be misleading. I could have been more accurate. I love and respect the world of wine for the history and for all the work that goes into it before I even get a chance to taste it. It is a very complex world, especially when subjectivity comes into play. Winemakers pour their heart and soul into winemaking, and I am not one to deprecate this honorable walk of life. Thanks again for your comments, Margaret. Cheers!